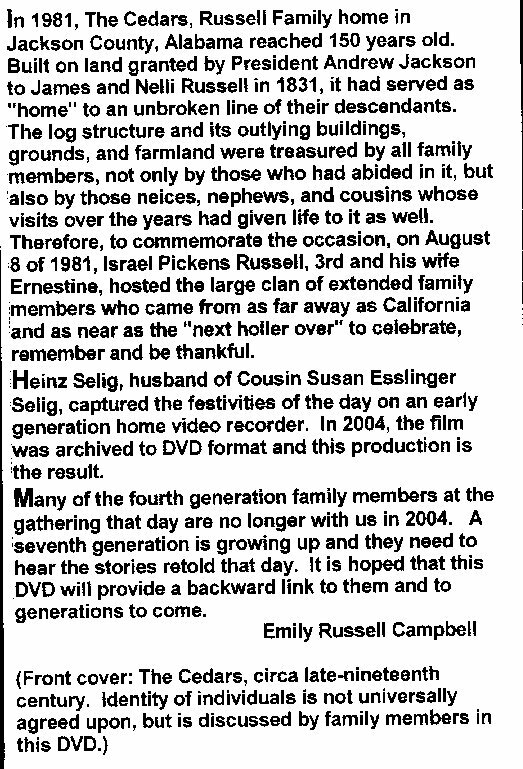 HISTORY OF "THE WINGFIELD/SANDERS/RUSSELL FAMILY CONNECTION"
HISTORICAL NOTES:"Jimmy & Norma Boardman Wingfield"
New York, August 5 (AP)-A passing sulky, the rider clucking softly to the heaving, lather streaked horse, stirred up a cloud of dust which hung lazily in the still air, Neil Boardman kept right on talking. "It makes a nice vacation," he was saying, "and I earn enough in purses to pay for it and have a little left to buy oats and paint up the van." Neil Boardman is different from the other horsemen taking part in the trotting meet at Empire City in one outstanding respect. As far as we know, he is the only university music teacher in captivity who owns, trains and rides behind his own horses; more often than not, in front of other horses. He has some winners. He's a slim, wiry little fellow with bright eyes and a tiny tuft of indifferently colored mustache. For some twenty years he's been an instructor in stringed instruments at the University of South Dakota, not specializing in anything particularly. "Sort of a handy man," he explains. For many years now he has dropped his fiddle at the close of the school year, loaded his horses in a van, packed up the family, and headed for the trotting circuit and the life he loves. This is the first year he's made the tour alone. "My girl is graduating from the university," he says, "and my seventeen-year-old boy is running a picture show up at Vermilion. And I have two big victory gardens to keep my wife busy." Boardman has been a horse lover almost since he can remember. 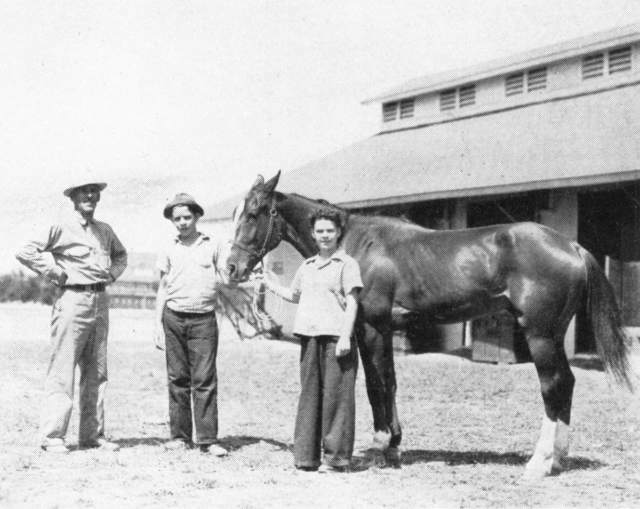 His dad, after years of working in town, was overcome by the urge to get the feel of the soil, so he got a little place right near the trotting track at Springville, N. Y. Neil was thirteen at the time, and the proximity to horses and horsemen had its natural effect. He became obsessed with the idea of sometime owning and racing his own string. Eventually that came to pass, and looking at him standing serenely in the quiet shade hard by the tent canopied paddock at Empire, you are looking at a man who has what be wants. His pride and joy right now is Welchman, a nine-year-old, which he calls "my big horse." "He's averaged $1,200 a year for eight years, and won eighty-five races," Boardman stated proudly. "He started out as a trotter, but when his hind quarters got lame he changed himself to a pacer, then back to a trotter again. Not one horse in a million would do that. He has the intelligence of a human out there on that track." Boardman has three horses right now, Andrew Guy being his other "good one." But Welchman is his pet, and it didn't take long to discover why. He had entered the horse in the two heats of the featured event on the day's program. In the first heat the big horse was away in front, set a steady unruffled pace, and never was headed. 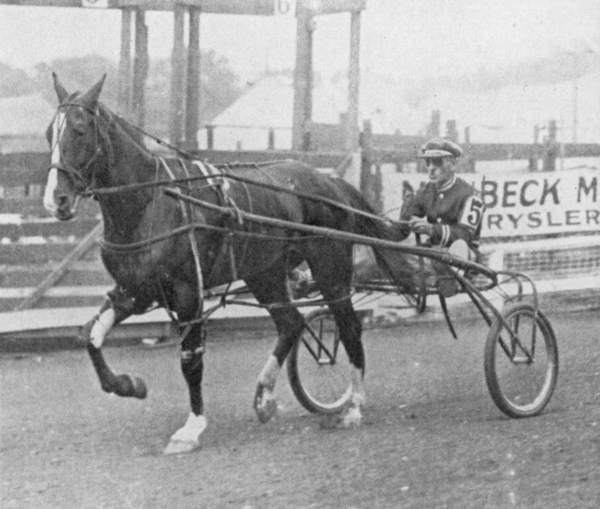 The second heat practically duplicated the first, the two races sending the Welchman's victory string to eighty-seven. Watching them, you just could sense a mutual understanding between driver and horse. It was a fair field, better than most this horse had been up against. In fact, Welchman had to trot a brisk 2:091/2 mile, beating his own record by a half second, to win. As a pacer the horse has a time of 2:05. And somehow you just couldn't picture the goggled little man hunched forward grimly clutching the reins transplanted to the sedate setting of a studio, patiently teaching lads and lassies that a "G" string isn't always what they imagined it was before the lessons were given. It should be noted that "My girl is graduating from the university," in the story above was Mr. Boardman's daughter, Norma, who later became Mrs. Jimmy Wingfield. I remember meeting the Boardman family shortly before Norma became the bride of Jim Kyle Wingfield. 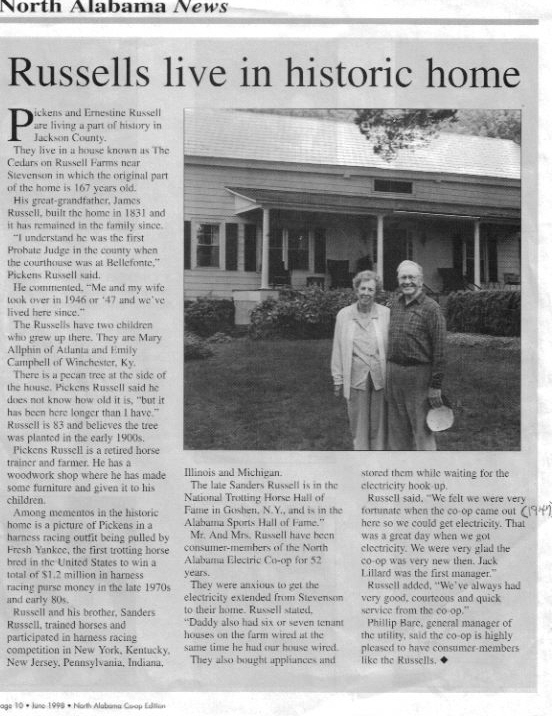 She spent one winter in the 1940s while Jim was stationed abroad, as a guest of my Uncle Sanders Russell and his wife Evelyn Willis Russell, in their circa 1920s home at "RUSSELL STABLES". Prof. Neil Boardman, Neil Jr. and Norma with the Pacer, Welchman 2:05, a new record. Welchman 4, p, 2:061/2, Neal Boardman up. Lt. Jim K. Wingfield, 760 Tank Bn. A.P.O. 464, c/o Postmaster, New York." All graphics Copyright © Anita Van den Eshof and you are not allowed to sell or give away any of the graphics, alter them or use them to create your own graphics.